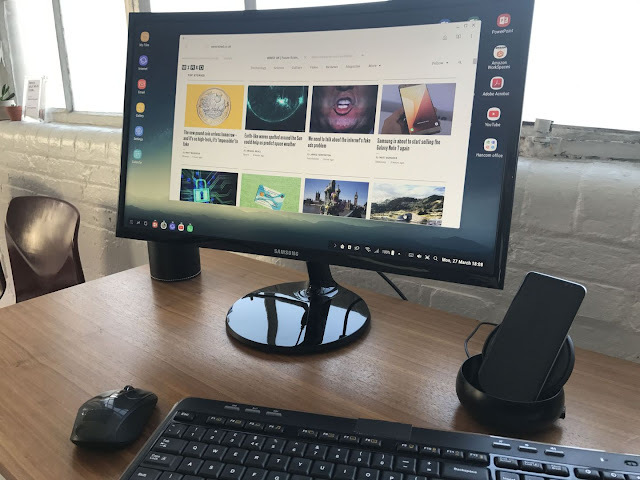 It's not just me that is incredibly impressed by the Samsung DeX Station, and what it can do for the future of computing. Perhaps the main takeaway here is that DeX immediately makes most old home PCs look anachronistic and obsolete. After spent just a few minutes using the dock, it was easy to see that it could handle 90 per cent of what most use a computer for, and present it all in a familiar, windows-based manner. Indeed, many websites opened in full desktop version and not the mobile one, despite running on a docked S8. For me personally, there will not be anything I can't do on my Samsung Galaxy S8+ and the DeX Station that I want or need to do. As I've said before, the DeX Station will take care of the last things that I need a larger screen for. Like doing webdesign with a keyboard and mouse on a larger screen. I have always thought that the future for computing would be the mobile device you always have with you. And to me that future is always here. I am already Post-PC with my mobile phone as my only computer, and I love every minute.